President Rodrigo Duterte in his speech at the launch of the Metro Manila Development Authority crisis management center on Tuesday, April 4 has confirmed sacking DILG Secretary Ismael Sueno during their last cabinet meeting after allegations of corruption. In his defense, Sueno said that he respect the decision of the president but he asserts that he has no hand in the corruption charges leveled against him. “I wholeheartedly accept the decision of the President. It is his call if he wants me in his Cabinet or not. 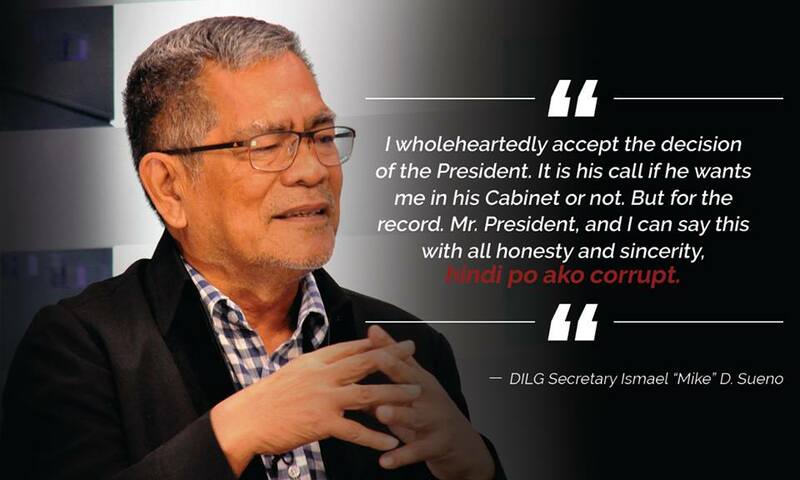 But for the record, Mr. President, and I can say this with all honesty and sincerity, hindi po ako corrupt,” said Sueno.